http://www.hmmrmedia.com/wp-content/uploads/2017/08/connolly_demonstration.jpg 315 600 Martin Bingisser http://www.hmmrmedia.com/wp-content/uploads/2017/07/HMMR-Full-Logo400.png Martin Bingisser2017-08-18 13:33:212017-08-18 13:58:48If Not Now, When? 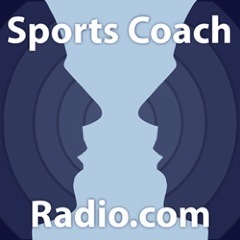 Earlier this month I had the privilege of being interviewed by the Sports Coach Radio podcast. The podcast posts weekly in-depth interviews with leading sports coaches, sports scientists, exercise physiologists and team performance directors. When Glenn Whitney, the host, asked me if I would be interested in doing an interview I was a bit dumbfounded as to why. I’m always looking to help HMMR Media gain a bigger audience, but when I said he interviews leading people, I truly meant leading. He’s had some outstanding interviews Harry Marra, Vern Gambetta, and Clyde Hart in track and field and coaches of the same level in other sports too. In the end we actually spoke little about coaching despite the name of the podcast. Instead we dove into topics like how to balance a career, technology in sports, and the hammer throw. All topics I fell like I can hold my own on. To have a listen, click here. But in preparation for the interview I spent some time thinking about coaching and since I didn’t get to speak about it as much during the interview, I thought I would share a few brief thoughts on the topic here. 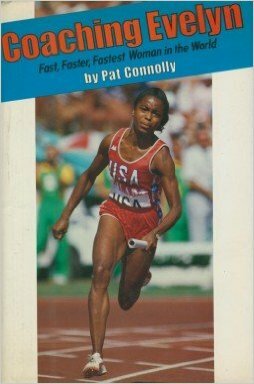 In part one and part two of my training talk with throwing great Ed Burke, we discussed his long journey to 1984 in which he retired after making two Olympic teams and then came back to throw a personal best at age 44 and qualify for his third Olympic team in 1984. The last part of our training talk centers around that pivotal time. We start by talking about what the youth program he set up immediately after his second retirement that ended up producing hundreds of throwers and multiple Olympians. It started off as a simple idea and can serve as a template for helping growing the sport. 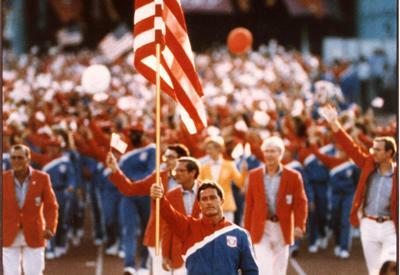 Then we also talk about 1984 itself and what it was like to be selected and actual carry the American flag at the Olympic Opening Ceremonies. Martin: You had been away from the sport nearly 30 years before you came back as a masters athlete. Did you not throw the hammer at all during that time? Ed: Oh no. Well, I shouldn’t say that. In 1985 I started the Explorer’s Post club with Mac Wilkins. I would demonstrate to the athletes and probably hold the world record for throwing the hammer in Rockport walking shoes. 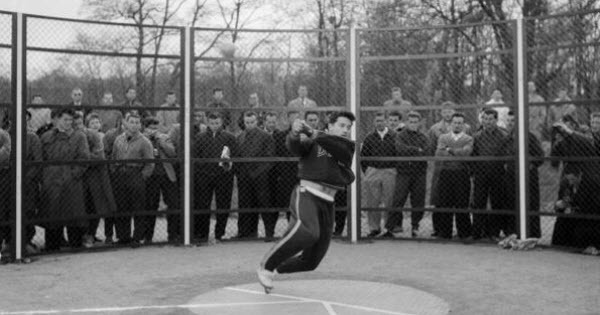 If you create a list of the best and most influential hammer throwers in American history, Ed Burke is at the top along with Harold Connolly, John Flanagan, and other greats. As a thrower, coach, and visionary he has had a lasting and continuing impact on all of track and field. But while that may have been a highlight of his career, part one of our talk focuses on how it all began 24 years earlier. 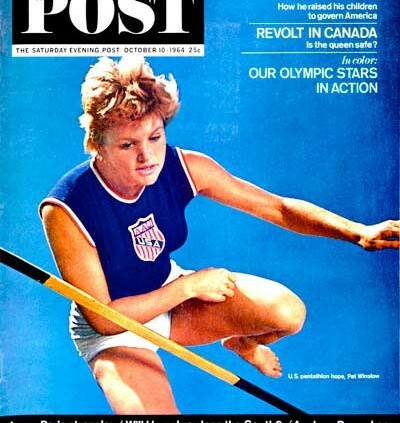 By the time of the Los Angeles Olympics, Burke was 44 years old and the oldest member of the Olympic team. 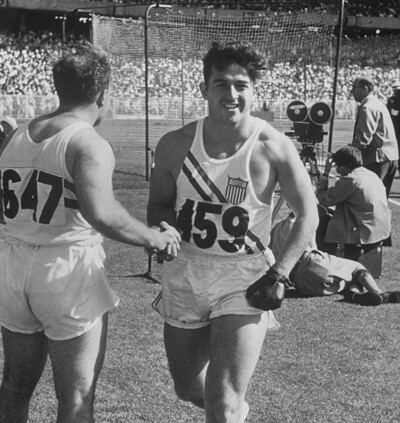 His first Olympic appearance came in 1964 where he placed seventh. By competing again 20 years later he became the first American to have an Olympic career spanning so long. 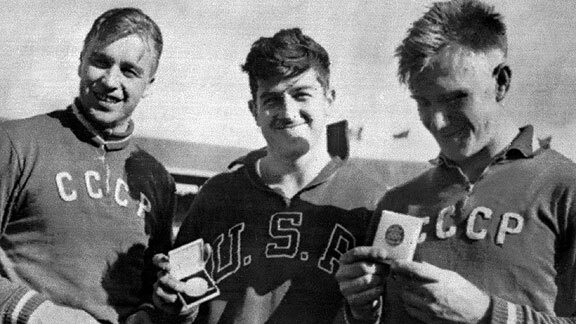 During that time Track and Field News ranked him among the top four in the world and in 1967 he ranked second and produced the farthest throw in the world, a new American record that broke Harold Connolly’s longstanding mark. While Burke retired after Los Angeles, he was far from finished. He founded and coached a successful youth training group in the 1980s and 1990s that produced Olympians Kevin McMahon and David Popejoy. And he started throwing again at age 65. Since then he has set many age-group world records in the past decade. However these are stories for later in our talk. 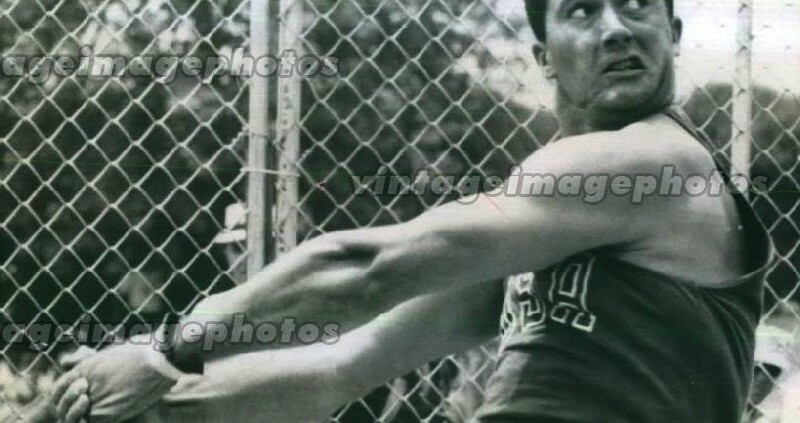 To start with Burke recalls how he discovered the event and developed into a world class thrower.